Britain's anti-establishment Brexit contagion could once more be on the march by spreading from its heavy influence on the US Presidential election, that allowed an alt-reality TV star to con his way into the White House, and thus could similarly allow France's far right Marine Le Pen funded by Putin's regime to squeak her way into the Elysee Palace. 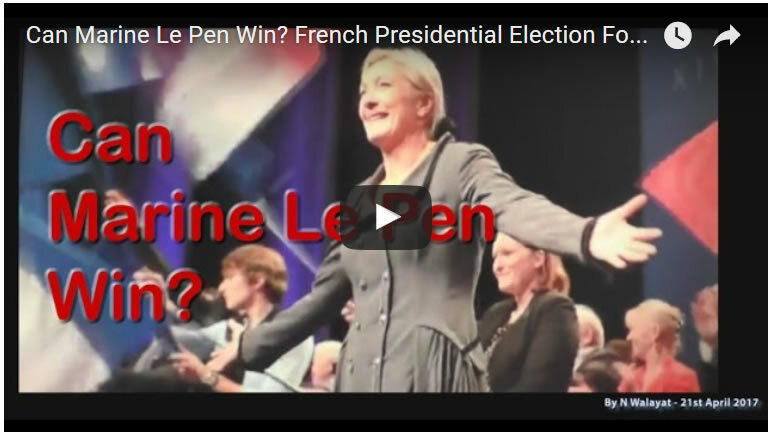 Whilst it is beyond the scope of this video to consider all of the ramifications of a potential Le Pen victory for the French people, one thing is for certain that it would greatly destabilise the European Union as a Le Pen regime would be pro-Brexit and soon announce Frances own FrExit EU Referendum which would amount to the death of the European Union. Exactly. The last words were taken out of my mouth. Since the French (or whoever were they) decapitated the French king, France, once most powerful European country, is slowly trending towards the day when it ceases to exist. The nation-proud French love to preserve and celebrate their culture, so that basically they have brainwashed themselves to believe that France is doing not so bad and will again be powerful. They fail to see the reality with no French bias as much as they are unable to learn a foreign language with no French accent. Whoever wins. Out of those 5 wannabes, 5 are socialists and some of them are outright communists (fool Melenchon). For decades they all agreed that the unemployment is too high and that the socialism is the only right way. They don't see any connection! Well, they see: the unemployment comes from not enough socialism...Le Pen is so 'far right' that actually she pops out on the other side of the stage and looks like a far left candidate (Hitler was a socialist, too). Le Pen is as much against free trade as she is against free market (I doubt she can tell one from another) and I doubt she knows how the markets works. She says that the French companies are leaving France and other countries are stealing their jobs (trumpist rhetoric) while she fails to see why and points the finger at te euro. Isolated France will collapse economically or face drastic economic reforms because the globalism ensures that they can consume goods produced elsewhere, pile up debts and live their socialist dream. The reforms needed will not be accepted by the brainwashed population, even if cornered. Macron seems to be anti-immigration and this may be his winning card, because overall he is more balanced (and very vague) in his views. 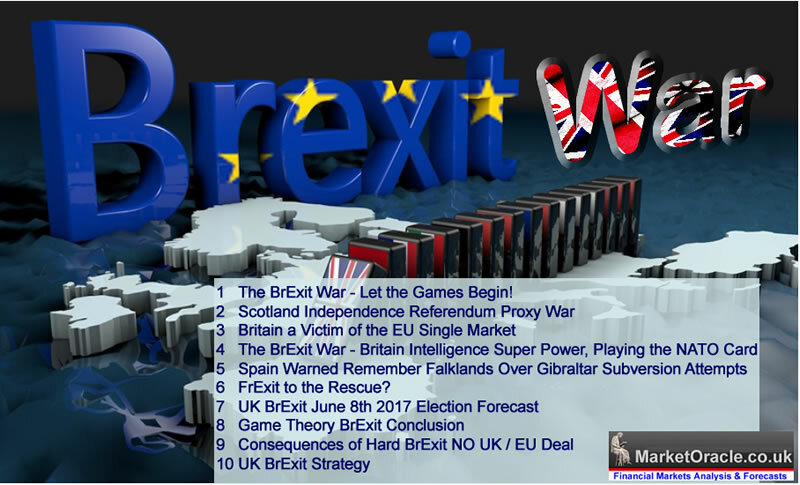 The terror attacks (whoever organizes them) are beating the anti-EU drum and 'independent' Macron may be a project to save the EU. As independent as the Italian Cinque Stelle Movement, which should really have a name of 'movimento di cinque falci e martelli'.